Forests possess many components and processes that provide an array of ecosystem goods and services: timber, energy and water savings, pollution reduction, livestock forage, habitat for plants and animals, recreation opportunities, aesthetic landscapes, and biodiversity that enhance people’s quality of life. Forest resources also support local and regional economies through jobs and income generated from forestry, agriculture, tourism, and locational decisions of businesses, retirees, and others. The capability of a forest to provide these and many other ecosystem services and to maintain the quality of those ecosystem services depends on its health. A healthy forest is an essential component of a healthy ecosystem—a natural system that is capable of self-renewal, resilient in its response to disturbances (such as pest, fire, and other non-human and human-caused disturbances), and able to sustain the integrity of the natural and cultural benefits derived from it. 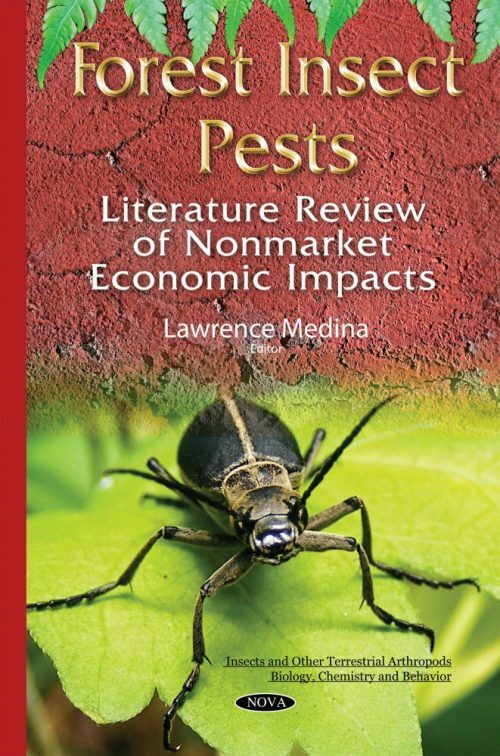 This book updates the literature review and synthesis of economic valuation studies on the impacts of forest insect pests by Rosenberger and Smith. This book also discusses the concept of ecosystem services; identifies key elements of each study; examines areas of future research; and includes appendices that further explain nonmarket valuation methods, a narrative of each study, and tables that summarize each study.